10 7/8" x 7 1/4" x 9 7/8"
At KRK our focus is your mix. But it doesn't stop at creating accurate monitors. We live this stuff and appreciate the need for monitors that not only sound great but work easily into your particular set up. 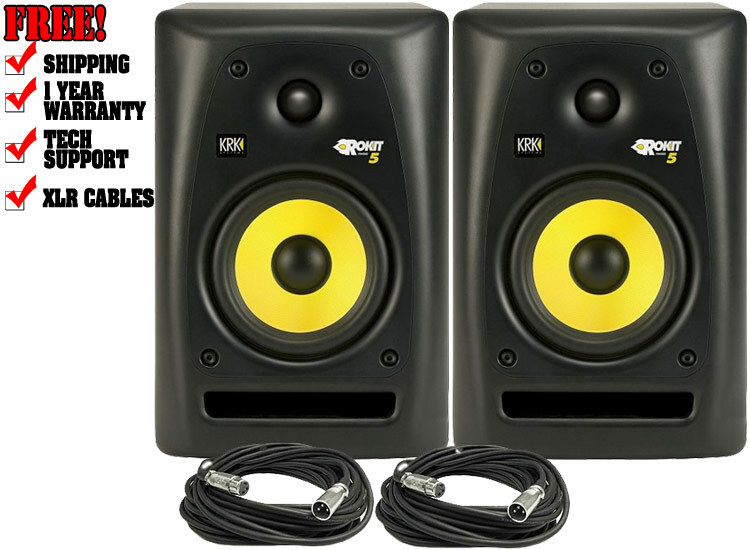 That's why you'll find plenty of input options with your Rokit, sure to accommodate any studio environment. So if it's RCA, Quarter-Inch (balanced/unbalanced) or XLR inputs you require, Rockit has got you covered. We took a great monitor series and made it better. Our engineers and listening panel took the Generation 2 Rokits’ speaker voicing to even more accurate levels. What you hear is what you are intended to hear, coloration is not part of the spec. This performance is brought to you by drivers that are custom-designed by our world-class studio monitor engineering team, for clear, low-distortion performance. Our new Rockit looks different, so it can sound better, and in a wider "sweet spot". Traditional rectangular speakers suffer from diffraction as sounds leaving the edge of the cabinet are reflected back into the original sound field, and at different time intervals. This phase distortion creates a "narrow" or boxy" sound. The Generation 2 Rokit series eliminates this issue with radically engineered curved surfaces, so diffraction is virtually eliminated. Simply put, you'll get better sound in a wider area. Take a look at competitive monitors and you'll find ports on the back of the cabinet. These rear-firing ports tend create bass coupling with walls and corners amplifying low frequency information which will color your mix. 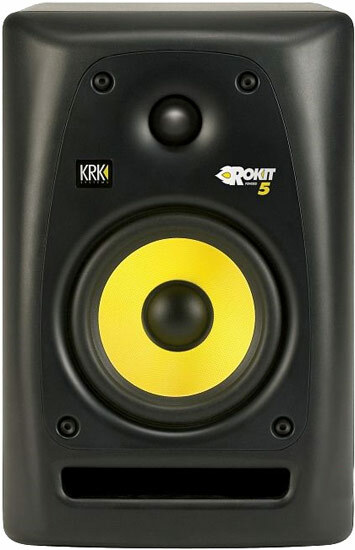 The superior design of the KRK Generation 2 Rokit’s include front-firing ports, which are just the right shape and taper to reduce port turbulence. You'll appreciate the clean and accurate bass performance, this approach delivers, even at high SPL’s. A great sounding monitor doesn’t stop with a great cabinet and custom drivers. Our true bi-amplified amplifier system provides discrete low-distortion power for each driver. While our active crossover systems provide smooth and accurate frequency response, and again, accurate diffraction control.